Hello, everyone! I just realized that I have not put the draft together for this week! The start of school around here has thrown my scheduling and my brain a bit off kilter. I'll get that squared away and send out the draft bu Thursday evening. I also need to get names entered into OOTP so I can run this week's simulations! 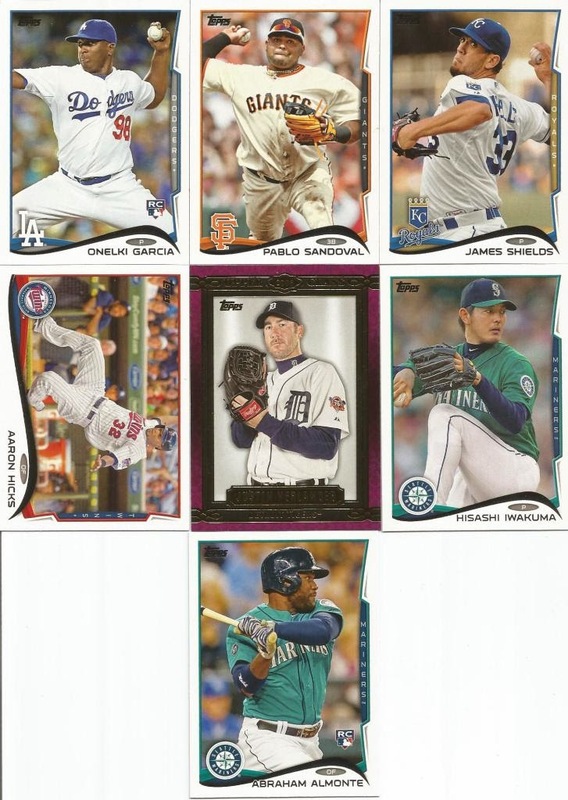 Well, until all that happens, let's break open a pack of 2014 Series One Topps. Wow, three free agents from a 2014 pack? That seems kinda funny. Ah well, let's give a hearty congratulations to the managers who did pull cards out of here!